When last we left our intrepid adventurers, it was a surprise to no one that Orchid - a founding member of the adventuring company and Hildy's beloved former employer - was "The Hag" that had been tormenting the Keep's residents for nigh on three months. The group stood atop the Keep's gatehouse and steeled themselves as The Hag Formerly Known as Orchid rapidly approached on her flying broom, cackling maniacally enough to put Magaret Hamilton to shame. They had prepared as well as they could for the imminent attack, and all able-bodied men and women were manning the Keep's defenses, as the Curate and Brother Zogustus stood guard in the Chapel over those residents who were unable to fight. On the grounds around the outer walls of the Keep, figures moved in the moonlight: the Hag's animated minions - skeletons, zombies, ghouls, and wights - rushing forward to smash against the worn battlements like a silent wave of shadowy death. As the PCs readied themselves for the coming onslaught (fighters readied their swords, clerics prayed to their gods, and magic users prepped their spells), The Hag flew close, pointed a finger at Brother Zogtavius, and spewed a bilious curse. A sickly green ray extended from her finger and touched his breast. He clutched his chest and blanched, then fell dead to the earthen inner courtyard below! At this point, I don't know what the reaction of the characters was, but that of the players was decidedly one of disbelief. "He's dead? Dead dead?" 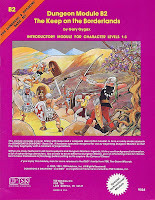 They'd lost many PCs and NPCs in this campaign, but none that had reached more than second level. I don't think they expected me to let one of these established characters die so abruptly. 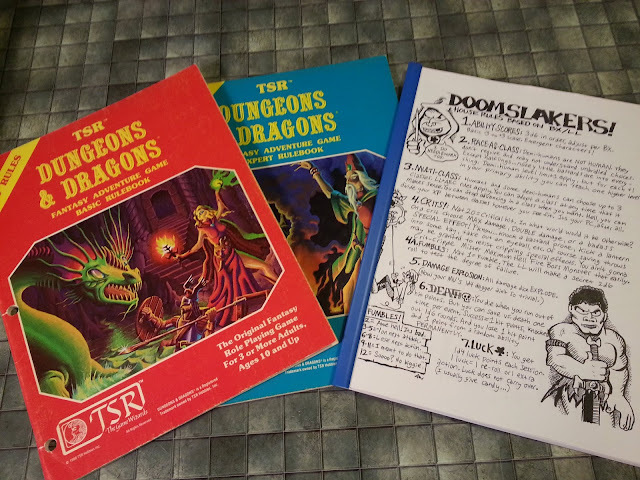 But, hey, I told them when we started the campaign that I wasn't going to pull any punches as Dungeon Master. "Yep," was my answer. "'Dead' dead. Now what will you do?"